I wanted to make some biscuits, and every recipe I was coming across was telling me to use a cookie/pastry cutter to make them and then put them on a cookie sheet. I don’t have a cookie/pastry cutter (I will have to purchase one) and I have too much OCD in me to just make uneven blobs and put them on a sheet, so I thought that I would toss them in a muffin tin and see what happened. They turned out pretty delicious! I also used my food processor for the entire batter making process which made this recipe 10 times easier for production and clean up. This version is fairly sweet so add in a tsp of salt to the dry mix if you don’t care for such a sweet biscuit. These are also by no means “diet” food, but one won’t hurt :). 3. 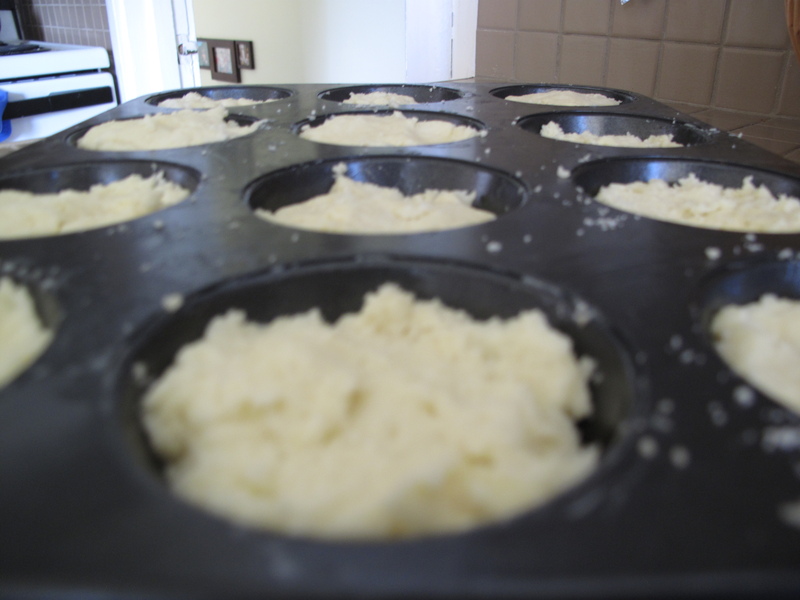 Cut butter into slices and add into dry mixture. Pulse or mix by hand. 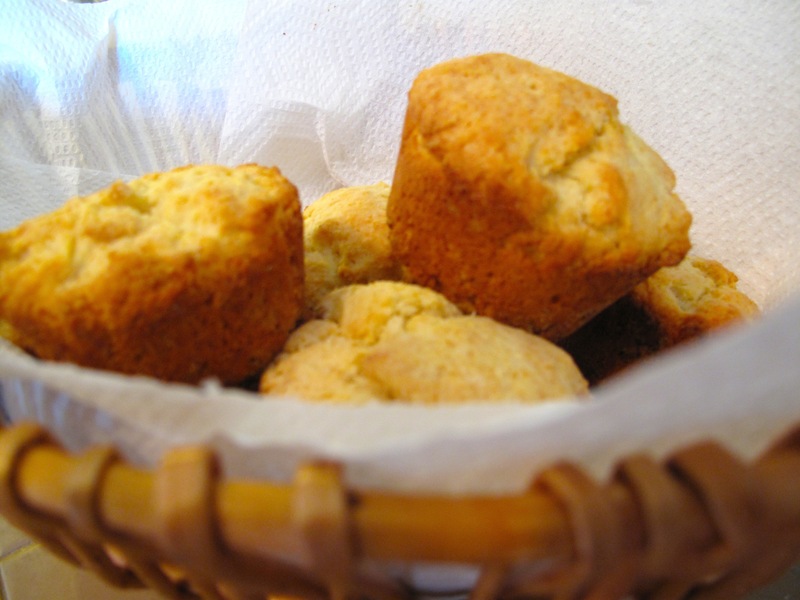 This entry was posted in Baking, Sides and tagged baking, biscuits, muffin tin, Recipes by Karina. Bookmark the permalink.